Neutral Earthing transformers are normally provided in 3-phase system, which is without neutral and earth fault protection. Neutral earthing transformer is having zig-zag (interstar) winding to achieve the required zero phase impedance. In addition an auxiliary winding can also be provided to meet the requirement of auxiliary power supply. ONAN /ONAF cooling with conventional pressed steel radiators. 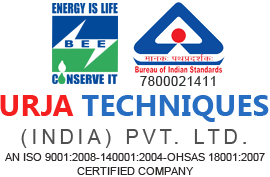 The range includes up to 33 KV systems and as per the site requirements. A Earthing ( zigzag) transformer is a special purpose transformer with a zigzag or 'interconnected star' winding connection, such that each output is the vector sum of two phases offset by 120�. Its applications are for the creation of a missing neutral connection from an un-grounded, 3-phase system to permit the grounding of that neutral to an earth reference pointand also harmonic mitigation, as it can suppress triplet (3rd, 9th, 15th, 21st, etc.) harmonic currents, to supply 3-phase power as an autotransformer (serving as the primary and secondary with no isolated circuits), and to supply non-standard phase-shifted 3-phase power. Nine-winding three-phase transformers, typically have 3 primaries and six identical secondary windings which be used in zigzag winding connection as pictured. 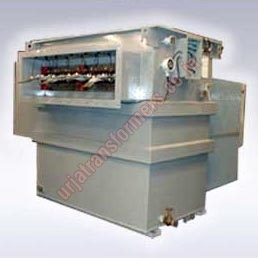 As with the conventional delta or wye winding configuration three-phase transformer, a standard stand-alone transformer containing only six windings on three cores can also be used in zigzag winding connection, such transformer sometimes being referred to as a zigzag bank. In all cases, six or nine winding, the first coil on each zigzag winding core is connected contrariwise to the second coil on the next core. The second coils are then all tied together to form the neutral and the phases are connected to the primary coils. Each phase, therefore, couples with each other phase and the voltages cancel out. As such, there would be negligible current through the neutral point, which can be tied to ground. Each of the three "limbs" are split into two sections. The two halves of each limb have the equal number of turns and they're wound in opposite directions. With the neutral grounded, during a phase to ground short fault, a third of current returns to the fault current and the remainder must go through two of the three phases when used to derive a grounding point from a delta source. If one phase, or more, faults to earth, the voltage applied to each phase of the transformer is no longer in balance; fluxes in the windings no longer oppose. (Using symmetrical components, this is Ia0 = Ib0 = Ic0.) Zero sequence (earth fault) current exists between the transformer’s neutral to the faulting phase. The purpose of a zigzag transformer in this application is to provide a return path for earth faults on delta-connected systems. With negligible current in the neutral under normal conditions, providing the defective load will be automatically disconnected in a fault condition, an undersized transformer may be used only as short time rating is required (i.e. the transformer can only carry full rated current for, say, 60 s). Impedance should not be too low for desired maximum fault current. Impedance can be added after the secondaries are summed to limit maximum fault currents(the 3Io path). An application example: A combination of Y (wye or star), delta, and zigzag windings may be used to achieve a vector phase shift. For example, an electrical network may have a transmission network of 110 kV/33 kV star/star transformers, with 33 kV/11 kV delta/star for the high voltage distribution network. If a transformation is required directly between the 110 kV/11 kV network an option is to use a 110 kV/11 kV star/delta transformer. The problem is that the 11 kV delta no longer has an earth reference point. Installing a zigzag transformer near the secondary side of the 110 kV/11 kV transformer provides the required earth reference point.